Barcelona have reportedly set a deadline of January 6 to determine whether or not Samuel Umtiti will require surgery on his knee. After returning from his injury setback against Atletico Madrid last month, he was forced to sit out against PSV Eindhoven and Villarreal due to the issue. That now means he has sat out 11 games so far this season because of the ongoing injury concern, resulting in him making just eight appearances this year. 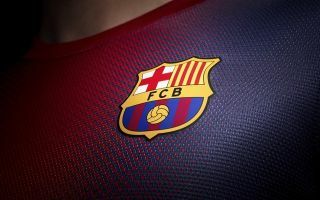 Coupled with the fact that coach Ernesto Valverde is already light in that department with the pressure on Gerard Pique and Clement Lenglet to avoid any injury setbacks of their own, it’s a difficult position for Barcelona to be in as they look to compete on multiple fronts. In turn, according to Sport, they will make a decision on Umtiti’s need for surgery on January 6, as he now looks set to fly out to Qatar to continue treatment in the hope that he can avoid going under the knife. Time will tell if that method works as ultimately it hasn’t so far, and so the threat of surgery looms large over the French international heading into the New Year. Should he require a procedure, it’s added in the report that the date is set specifically with the January transfer window in mind, as Barcelona will know early on as to whether or not they need to bring in a reinforcement in that area to cover the absence of the World Cup winner. While it’s a nightmare scenario for all concerned, it does sound like a sensible strategy from the Catalan giants but the hope for them remains that Umtiti can recover without surgery, which will surely result in an extended spell on the sidelines.